I spent a large portion of my summer in Oklahoma this year and it was pretty great. Sure I got homesick but I got to spend a ton of time with my boys and I’ll always take a whole lot of missing my own bed for a little bit of nephew time any day. We did lots and lots of fun things this summer including garage sales and flea markets. These boys sure do love a bargain! 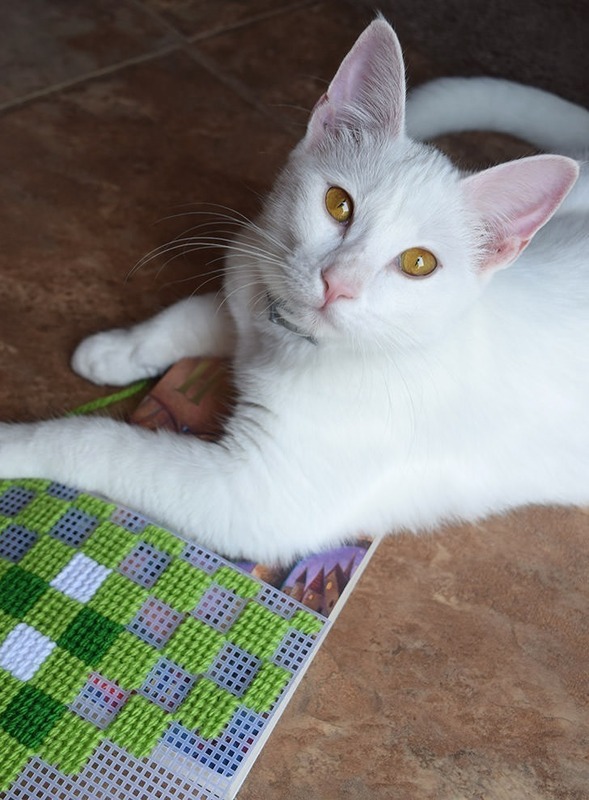 While we were perusing a flea market one weekend I found saw a needlepoint book. 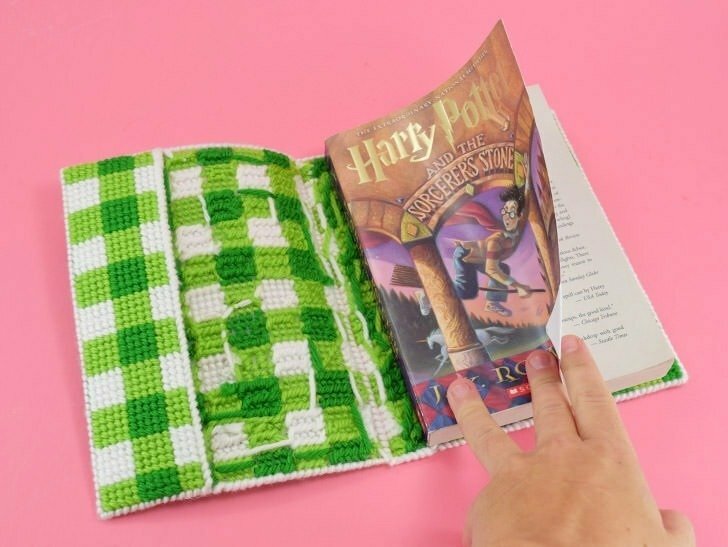 That is to say, a book that looked like the cover was made from needlepoint. I hurried over and saw that inside wasa Louis Lamour book, my late grandfather’s favorite. Surely this must be fate, right?! I turned to ask how much and was given a ridiculous price AND was informed that the book would not be included. I told him I’d think about it and shortly thereafter overheard him being a jerk to my sister as she looked at the coolest vintage icebox. Nope… this dude was not going to get any of our money. On our way back to my sister’s house we stopped by the craft store and I got all of the stuff I needed to make my own needlepoint book cover. 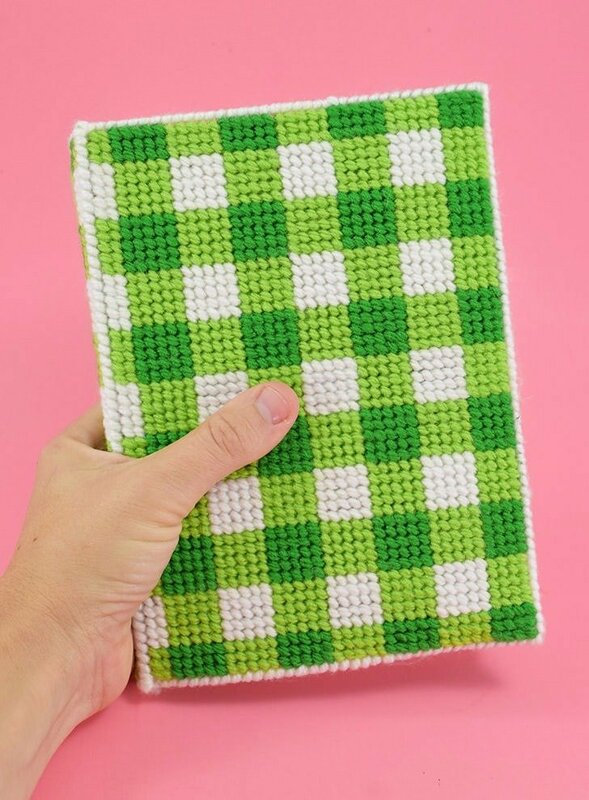 As I sat there for ages trying to choose the colors of my craft yarn I finally decided that I wanted to do a gingham stitch, you know, all picnic tablecloth or Dorothy’s Wizard of Oz Dress-like. Back at the house I asked my little nephew Conner if there was a book he’d like me to cover. As a kid who got all sorts of prizes and rewards because he read over 200 books last school year (nuts, right! what a smartie!) 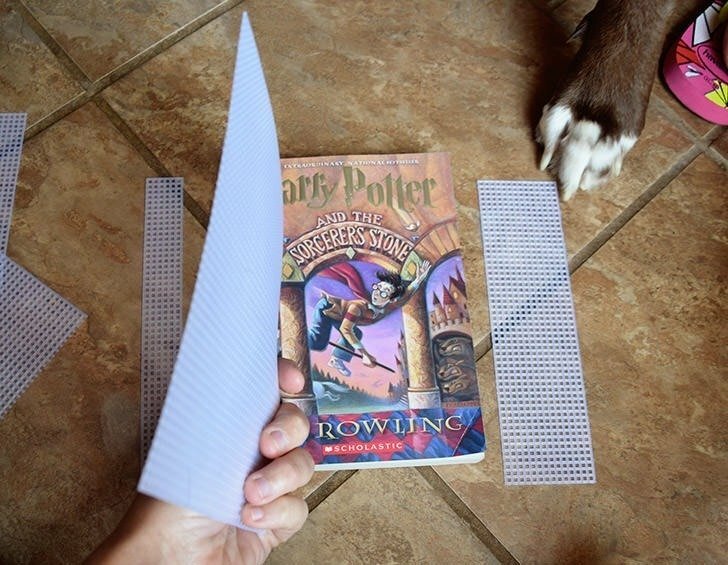 he decided I could cover his second favorite book, the first Harry Potter. I sat down in front of my sister’s storm door with a gigantic Great Dane sized mutt named Pretty and an itty, bitty white kitty named Atari and got after it! 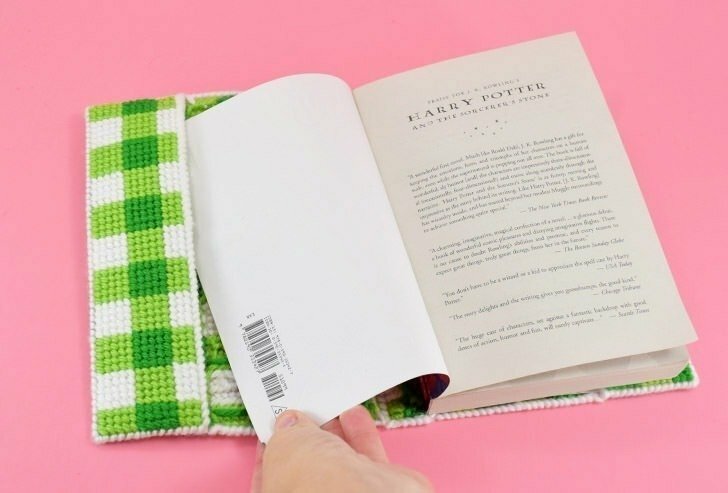 First you’ll need to take your book and cut pieces to fit for its size. 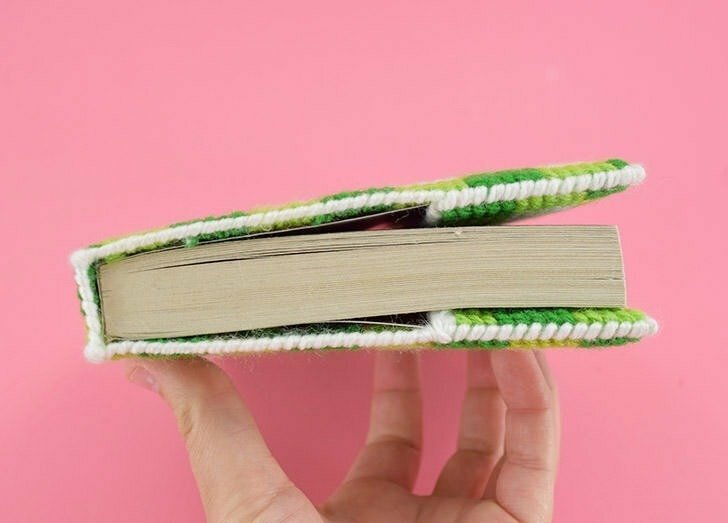 Place the plastic canvas on top of the book and trim it down, giving the width and height an extra square all of the way around. Do the same for the spine of the book and use your left overs to cut the flaps to hold onto the cover and keep it in place. With the exception of the height, these pieces don’t need to be any specific size, just use what you have left over and make sure it’s at least an inch and a half, or so, to easily hold the cover in place. Next begin stitching your design into the canvas. I went with a gingham stitch where each block was 5 stitches across and 5 tall. 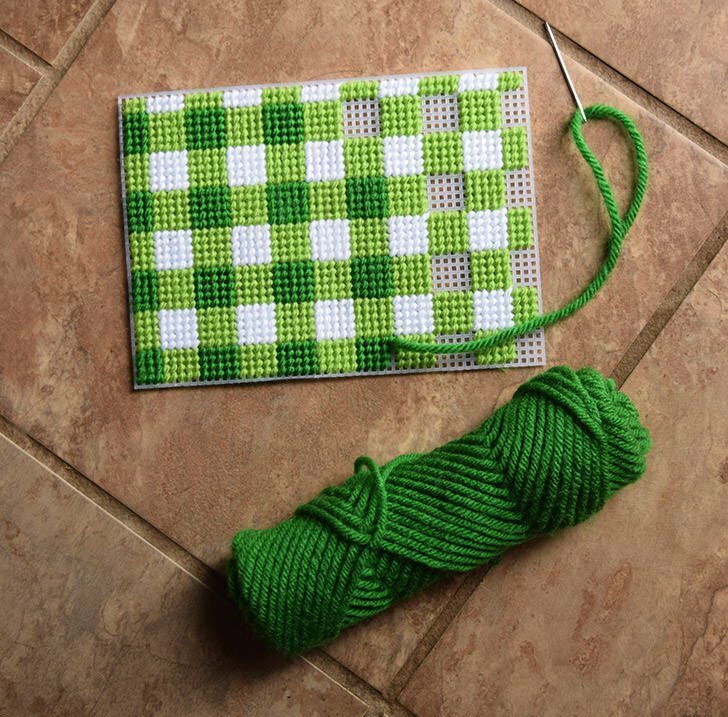 For this stitch you’ll need 3 colors of yarn… One will be white and then you’ll need to different shades of the same color. Here I used a kelly green and a lighter green. 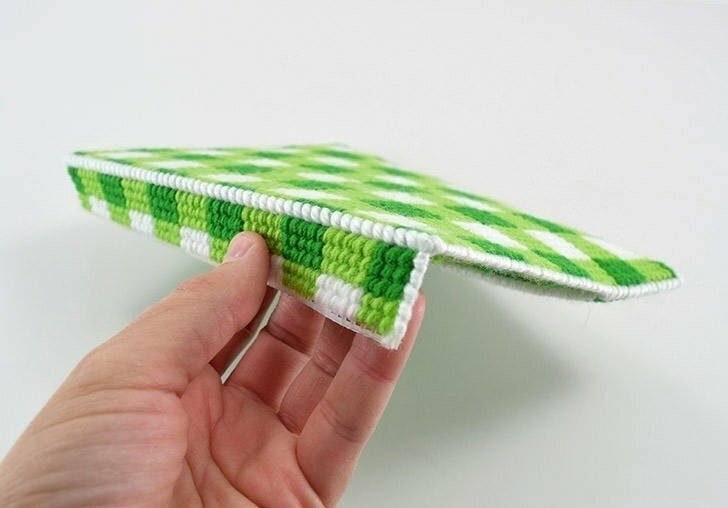 This lighter green, or your middle shade, will be the one you use the most for this project. In fact, you’ll use twice as much of this color as your white and darker shade, so keep that in mind when purchasing yarn. For this project I used craft yarn for a few reasons… It is nice and thick and covers the canvas really well. 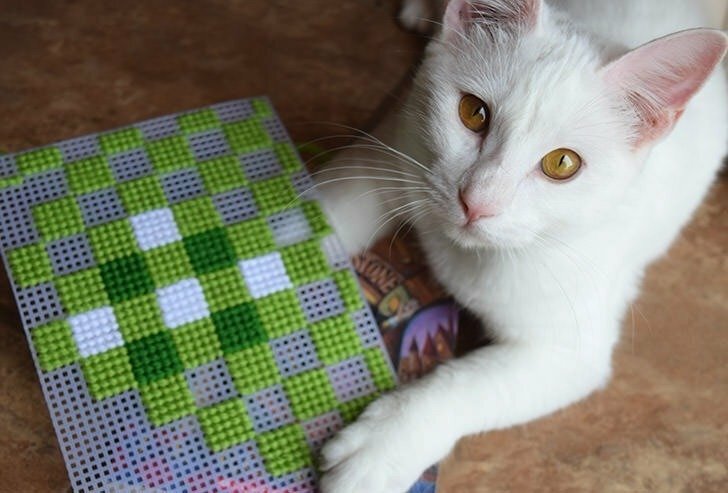 It can get a bit fuzzy as you pull it through the canvas but work in shorter lengths of yarn as you stitch for the least furry end results. 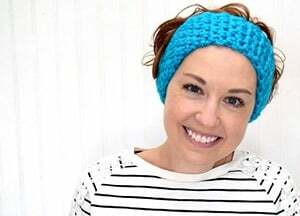 You can also use worsted weight yarn. This is the “normal” weight of stuff that you see, for example, as a Red Heart Super Saver yarn. This yarn is a bit thinner and in some instances you’ll need to double stitch in order to completely cover the plastic canvas beneath. It’s totally doable but be warned that this makes the stitching twice as much work. 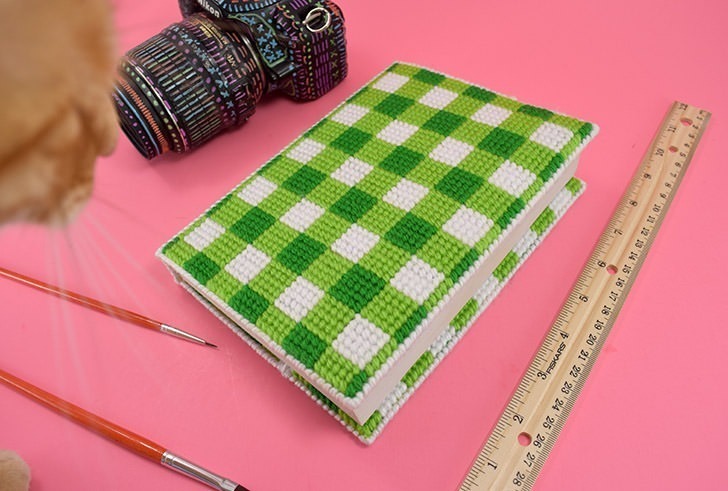 Once the design is stitched onto your canvas pieces join them together using the whip stitch. Continue the whip stitch around the bare edges of the pieces to cover the ugly plastic edge, too. Be sure to connect your inner “holder” pieces to the inside of your cover with the whip stitch, also. And FYI – even though I prefer the look of the fully stitched pieces, I think that in the future I might leave these inner pieces blank and not stitch them to prevent some of the unnecessary bulk you can see in the picture above. On a thicker, hardback cover or a photo album this may not be as noticeable, but for this paperback it was definitely an issue but since it was kiddo’s choice on the book to cover I went paperback even though I probably otherwise wouldn’t have. Be sure to keep the backside neat enough that it doesn’t add any unnecessary bulk to the cover but remember that once on the book you won’t see this area so don’t stress too hard for perfection. Once the book is added it will be covered and protected from here on out! 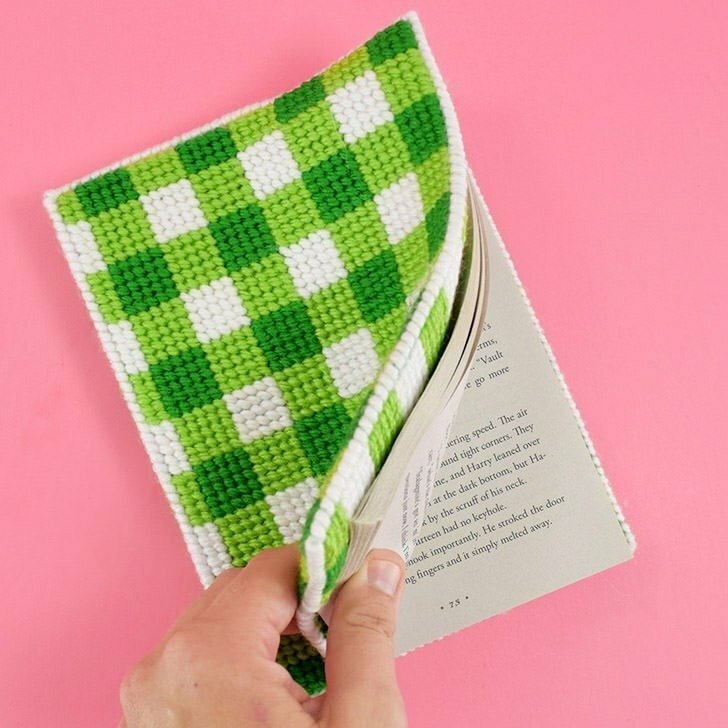 Easy, cheap and a good way to get your craft on when travelling! And I’m totally with you concerning that stupid jerk who was rude to your sister. Absolutely NO excuse for that kind of behavior! Many times I have pulled my business from places because of people like that. Both my wallet and me are happier in the end. Really neat i really like this.